My tours are are about the things I am genuinely interested in and inspired by. 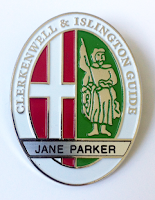 My guiding style is friendly and inclusive and I hope my enthusiasm shines through such that the people who join me are also intrigued and motivated to find out more for themselves. Overviews of some my tours are shown below. 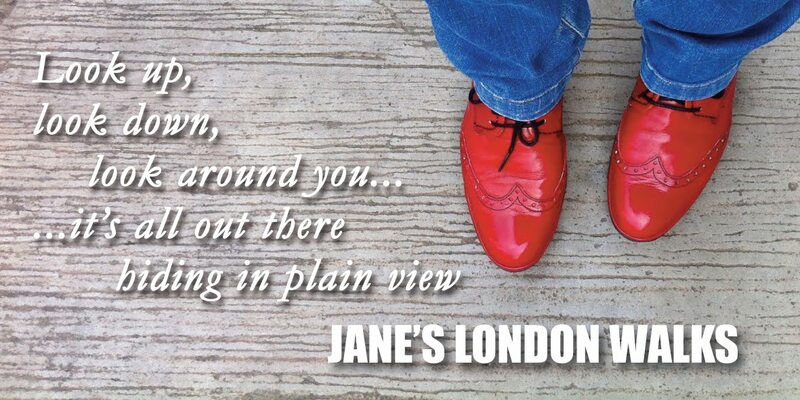 Many more available – please visit janeslondonwalks. These tours invite you into my world to show you the kind of details that inspire this website – we'll follow a trail of old hand-painted signs and also look at other forms of bygone advertising in the form of defunct logos, date stamps, ironwork and mosaics. Hear the stories behind the companies and the products. 90/120 minutes. Mr Pooter's Holloway – find out about the world that this marvellous fictional character might have inhabited and see where the local businessmen that caused him so much grief had their shops. 90 minutes. 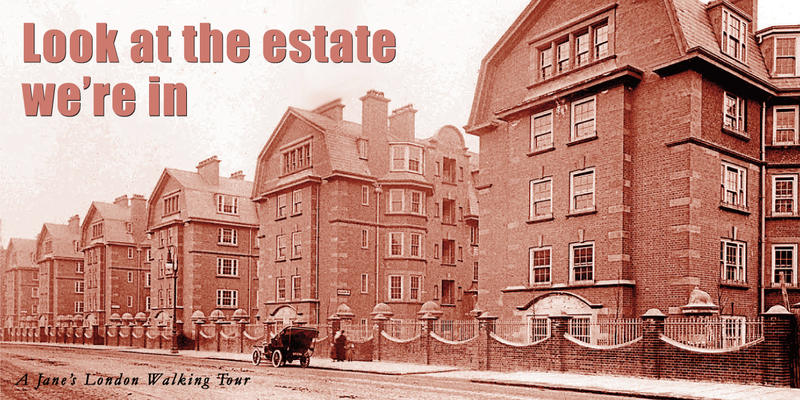 Also "Lyrics & Limericks, Fantasy and Fraud" a tour of the Holloway's literary connections – a mixed bag featuring a different literary link or person at each stop – authors, thieves, poets, playwrights, etc. 90 minutes. Decorative carvings and artworks above, around and along this important thoroughfare which once overlooked the River Thames. 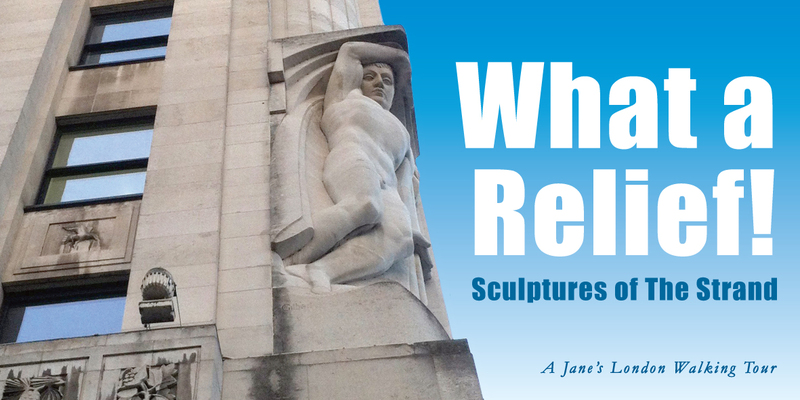 Stone-carved delights, both figurative and in letterform, are hiding in plain view all along this southern edge of London's Theatreland. 90 minutes. London is still graced with elegant buildings constructed in the forward-thinking 'Jazz Age'. 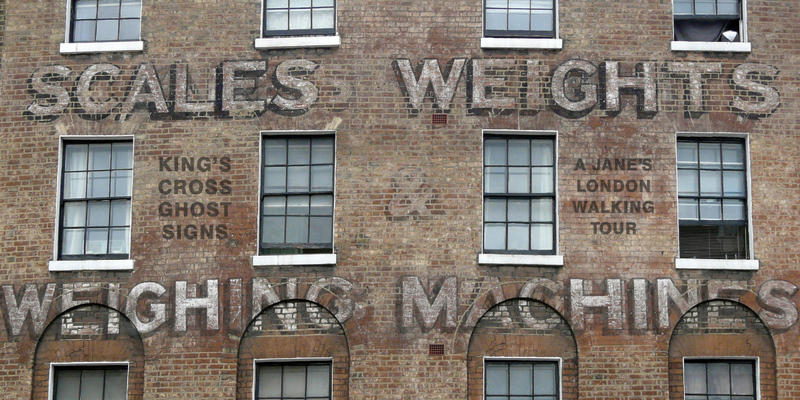 Hear the stories behind a variety of streamlined façades in Shoreditch, Spitalfields, Holloway and Arsenal. 90/120 minutes. More deco walks in other areas coming soon. 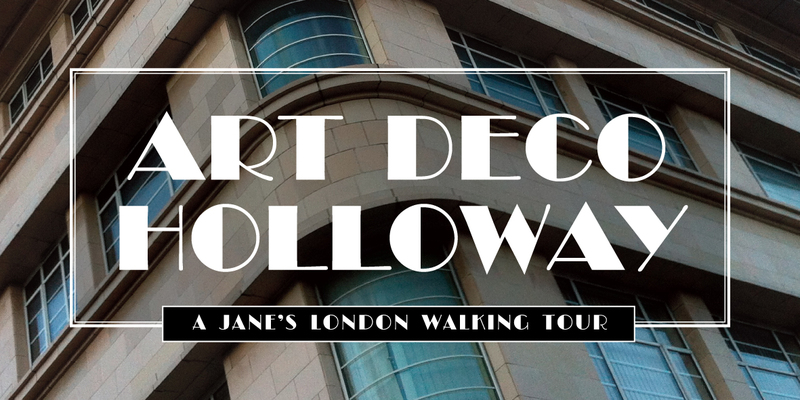 A walk from Caledonian Rd to Angel Station through a variety of Islington's impressive and well-designed social housing estates, talking about architecture, philanthropy, renovation and regeneration, comparing the old brick-built estates to today's developments. Just over two miles, 2-hours. 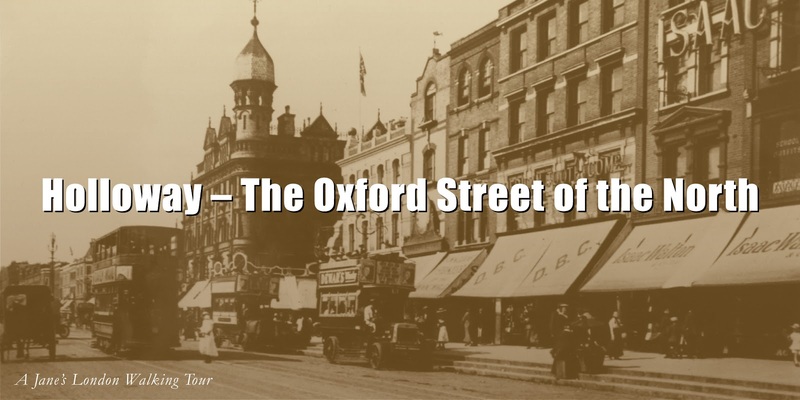 The Oxford Street of the North – A time-travelling tour comparing today's Nag's Head shopping district with the beautiful stores of the late Victorian and Edwardian eras when this was North London's main shopping destination. Actually, I still say, if you can't buy it in Holloway, then you don't need it. 90 minutes. Green and Pleasant Islington – Hidden places and open spaces off the beaten track – All kinds of green things around the southern end of Holloway Road. Thise daytime walk takes us off the main road to see fields and farms, parks and gardens, renovation, rejuvenation and recycling. 90 minutes. 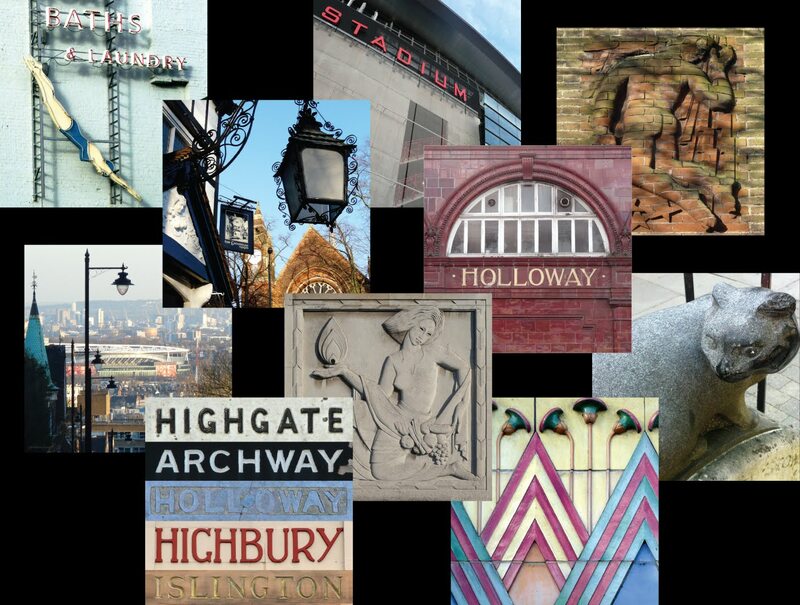 The Only Way is Essex Road – A stroll along the full length of the road (just over a mile) talking about the road's diverse history including innovative schemes and architectural gems. 90 minutes. 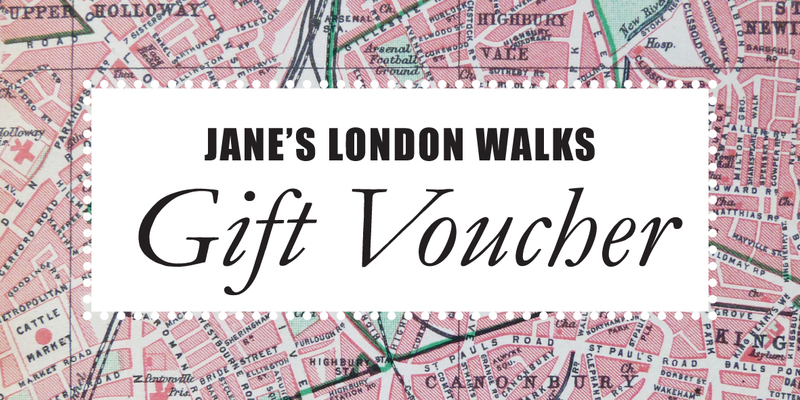 How about a walking, talking, looking and learning birthday present? Vouchers available for singles, groups* and private tours* – book a pre-designed tour or arrange something more special/relevant. Dates can be organised to suit you. See here for more details. *Group sizes are limited – additional tickets available at reduced rates. For occasional news, updates and relevant info please subscribe here. If the scheduled dates don't suit your diary and you can put together a group of five or more, please contact me to make arrangements. Note that my voucher option (above) offers discounts for groups. Special rates are available for groups, associations and committees – please contact me for more information. Please also visit (and Like!) my Facebook page.